Below is a list of various entitlements you may be eligible for from your Pharmacy or by applying to the relevant Government Department. A member of our staff will be happy to address any Entitlement queries you may have. The Drugs Payment Scheme covers families and individuals for the cost of their prescribed medication. Under DPS, no family or individual will have to pay more than a set fee per calendar month for all approved prescribed drugs, medicines and applications. The scheme is not means tested and can be applied for in the Pharmacy immediately if necessary. The current fee is €134. From 1st October 2010, the Health Service Executive (HSE) has introduced a 50c levy on every item dispensed on medical card prescriptions. 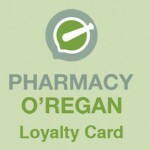 Every pharmacy is now obliged by law to collect this levy on every medical card item dispensed. If you or your family spend more than €10 per month on the levy, the amount exceeding €10 per month can be claimed back from the HSE. Under the current arrangements we are obliged to collect the 50c levy even if you have already paid in excess of €10 in a calendar month. If you have any queries in relation to the levy or if you need the local HSE office contact details, please ask your pharmacist or visit www.hse.ie for more information. If you already have been given a Medical Card, you do not need to apply for a Long Term Illness book. If you become ineligible for a Medical Card at any stage, but have one of the medical conditions below, you should apply to join the Long Term Illness scheme to cover the cost of your medication. Application forms can be obtained from the Pharmacy or doctors surgery. -If you have a medical card, you are entitled to FREE GP and hospital services. -If you are issued with a medical card, the card would normally cover you and your dependent spouse and child dependants. The Medical Card is valid for one year and once this year is up the person will receive a review form. If this form is not filled out on time, you may run the risk of losing the card or not been re-issued. This scheme involves the provision of medicines, medical and surgical appliances appropriate to the treatment of their condition to persons with full eligibility (i.e. medical card holders) and persons suffering from a long term prescribed illness, who are not able to provide these requirements for themselves.